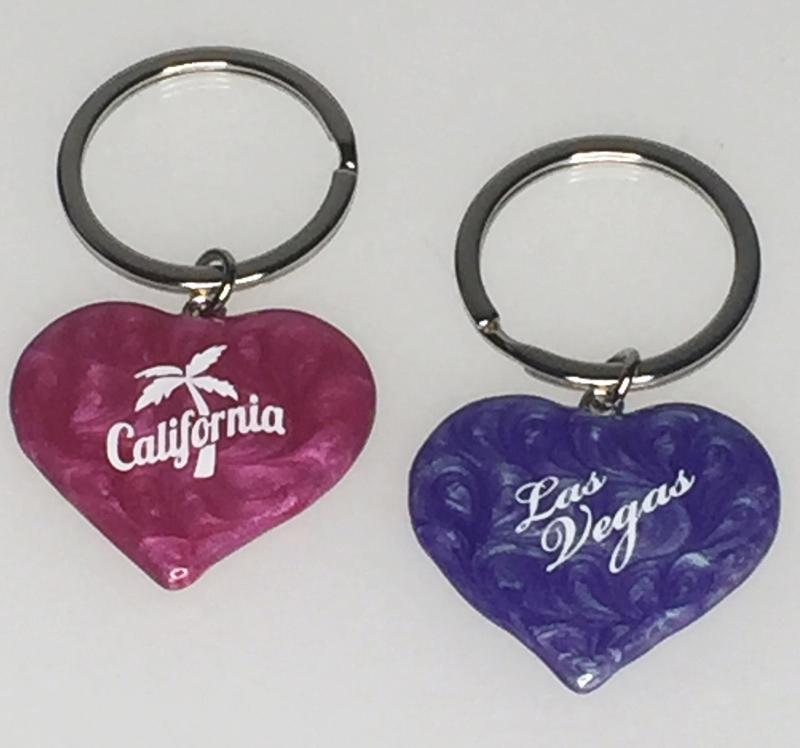 These key tags come in 2 colors assorted - Pinkish Red, and a Purple. They both have a floral pattern to them. These are made from zinc alloy (even though they seem to be made from a stone), and are attached to a 1 1/4" flat split ring.